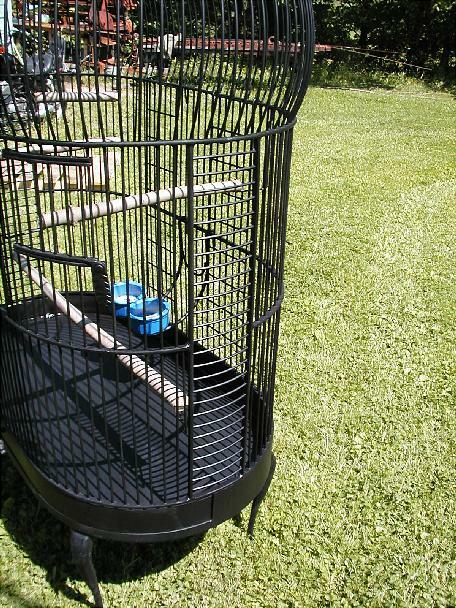 Customizing my cages is not as expensive as you might think. 1 out of 5 customers take advantage of my custom offer and get the ideal size and/or modifications for themselves. My equipment is designed to be versatile and if change are kept to a few simple guidelines, a custom cage, at a reasonable price is possible. Pricing is simply based on size and the number of bars plus $100.00. The same formula I use to calculate my standard cage is used to calculate my custom cages then, $100.00 is added to compensate for work done by hand. (the extra fee is only added for size changes and can sometimes be dropped) Prices can usually be quoted in minutes. 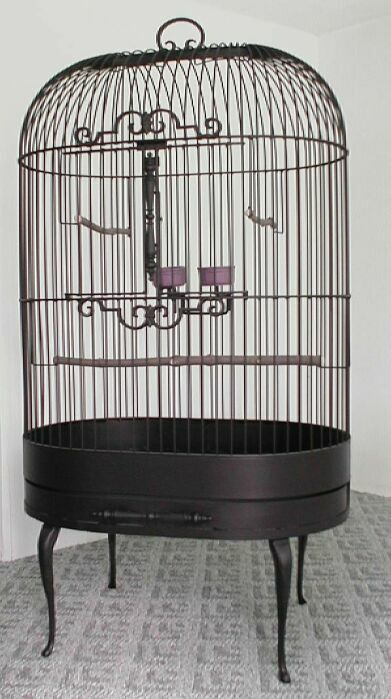 extending the height shortening circular cages adding breeder doors special bar spacing curtain rods platforms swings dividing the cage adding extra "rings"(frames) adding horizontal bar "climber sections" alternating ornaments extending the bace modifications for hanging. I encourage you to think freely and have an open mind. Some of my best ideas come from my customers! 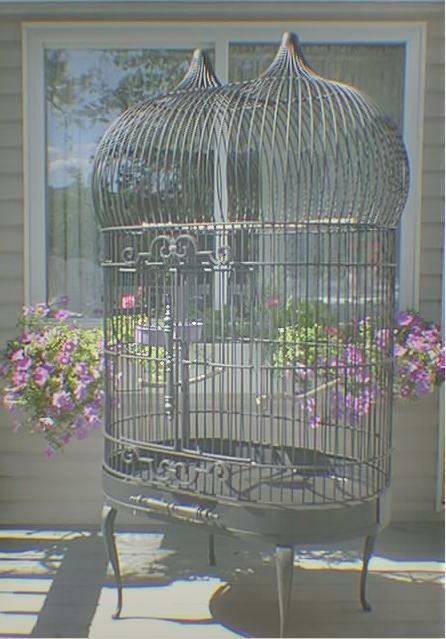 However, even though I can usually spot a troublesome area in a design, keep in mind that some minor problems in untested designs show up only after the cage is in use. I do not do colors. The coating I use is safe, long lasting and well tested. I do not recommend powder coating. 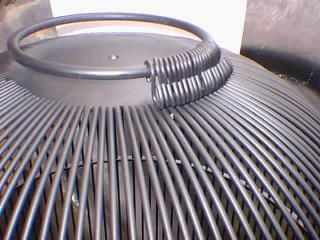 However, I have shipped cages with no coating at all and will help you pay for the coating of your choice. (see discounts)(Stainless discounts are not listed) Commercial painting companies are common and can usually get you the color you require. I can ship directly to the painting company near you if you wish.